AGUA will host an opening reception and opportunity to meet the artist, Friday, March 22, 6 – 8 p.m. He also will be in worship with us at Union Avenue Sunday, March 24, and will be in the Gallery following worship. “A Portrait of Ghana” is a collection of photographs made by Rev. Black in January 2016 and January 2018 during the Eden Theological Seminary International Travel Seminars to Ghana. Some of the photographs are posed portraits but many are candid, offering not only an expression of person and personality but also a sense of place. The images include women, men, and children at worship and work. Ghana, officially the Republic of Ghana, is a country located along the Gulf of Guinea and Atlantic Ocean, in the subregion of West Africa. Ghana is bordered by the Ivory Coast in the west, Burkina Faso in the north, Togo in the east and the Gulf of Guinea and Atlantic Ocean in the south. Ghana means "Warrior King" in the Soninke language. 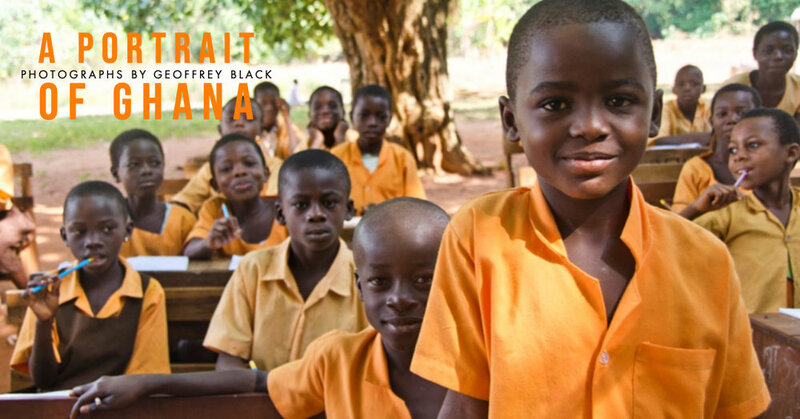 Ghana's population of approximately 30 million spans a variety of ethnic, linguistic and religious groups. According to the 2010 census, 71.2 percent of the population was Christian, 17.6 percent Muslim, and 5.2% practiced traditional faiths. Its diverse geography and ecology ranges from coastal savannahs to tropical rain forests. Rev. Black presently resides in Cleveland, Ohio.